As polished and refined as every troy ounce of gold melted in their company’s in-house foundry, the Scheufele family, owners of Chopard, bring us their latest addition to the L.U.C 1963 line of watches: the L.U.C 1963 Tourbillon. Known for the traditional elegance and technical performances of their timepieces for men, the Geneva – headquartered watch and jewelry makers bring us a masterful example of high watchmaking with the L.U.C 1963 Tourbillon, available from September in a limited edition of 100 pieces. Created to celebrate the 50th anniversary of the Scheufele family acquisition in 1963 of the watch company founded by Louis-Ulysse Chopard (L.U.C) in 1860, the line is inspired by the aesthetics of pocket watches made by Chopard. With its pure, white, Grand Feu enamel dial, bold black Roman numerals, and new in-house COSC – certified, hand-wound, nine-day power reserve tourbillon movement from the Manufacture Chopard in Fleurier, the new L.U.C 1963 Tourbillon presented at Baselworld 2015 makes a fine addition to the L.U.C 1963 line launched in 2013, expanded in 2014 with the L.U.C 1963 Chronograph. The wide, luminous ’Grand Feu’ enamel dial with its intense, natural glow, is the result of a complicated and delicate procedure that requires a plate, dusted with enamel powder, to be heated several times at 900°C, before being hand-polished and heated a final time with a transparent enamel coating that gives it its unique brilliance. With a central display of hours and minutes, the dial is enhanced with a minutes railtrack that circles inside bold black Roman numerals positioned at the edge of the dial. A power reserve indicator with a graduated scale of 1 to 8 days reading from right to left works its way into the railtrack at 12 o’clock, balanced by the cutout window at 6 o’clock that allows us to see the tourbillon beneath its bridge with two attachments. A small seconds display is also featured at 6 o’clock, with the seconds track surrounding the tourbillon cutout. The dial is further embellished with gilt Dauphine hour and minute hands, small seconds hand and power-reserve pointer. Drawn first to the harmony and beauty of the dial, our attention turns to the 40 mm rounded rose gold case that surrounds it. With a thickness of 10.6 mm, it features a polished bezel and case-back, glareproof sapphire crystal, vertical satin-brushed sides, an 18ct rose gold crown bearing the L.U.C logo, and sleek lugs that slim down the watch for extra wearing comfort. Inside the case, and in order to accommodate the enamel dial that is slightly thicker than others, the Manufacture Chopard has trimmed-down the 02.01-L movement by 0.6 mm, resulting in the new hand-wound 5.50 mm thick L.U.C Calibre 02.19-L1. Endowed with Chopard’s patented Quattro® technology and its four barrels that ensure smooth and regular delivery of energy to the movement for an operating autonomy of 216 hours, the calibre has obtained COSC certification due in part to the contribution of this same technology towards the chronometric precision of the timepiece. Rhodium-plated brass bridges, visible through the exhibition caseback, are adorned with Côtes de Genève, while a hand-sewn brown alligator leather strap with alligator lining and 18ct rose gold pin buckle completes the elegant look of this new timeless timepiece from the L.U.C Heritage Collection that pays tribute to Chopard’s watchmaking history. The attention to overall finishings, for both components and case, its rating regularity, and its assembly in Geneva, enable the L.U.C 1963 Tourbillon to proudly bear the Poinçon de Genève. 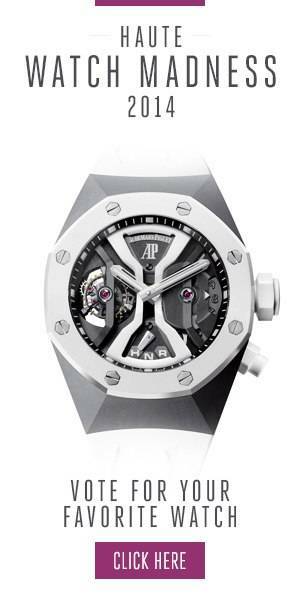 The price of this exceptional timepiece is 107,810 Euros. Photo Credit: Haute Time. For more information, please visit the official Chopard website. Follow Haute Time on Instagram to catch all of the new releases as they happen.